Good news! 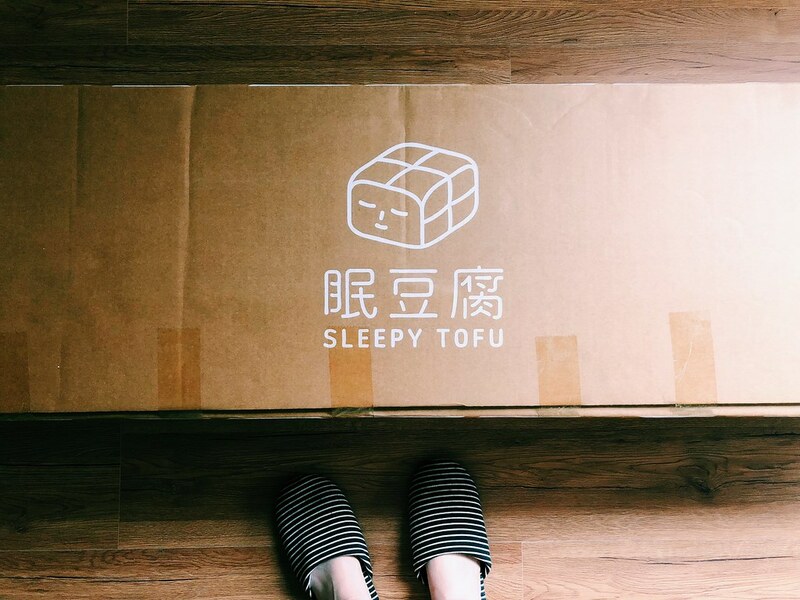 Get 5% off the price of your new Sleepy Tofu with code “TRICKY5OFF”. Simply enter that code when you go through the payment process on their website. 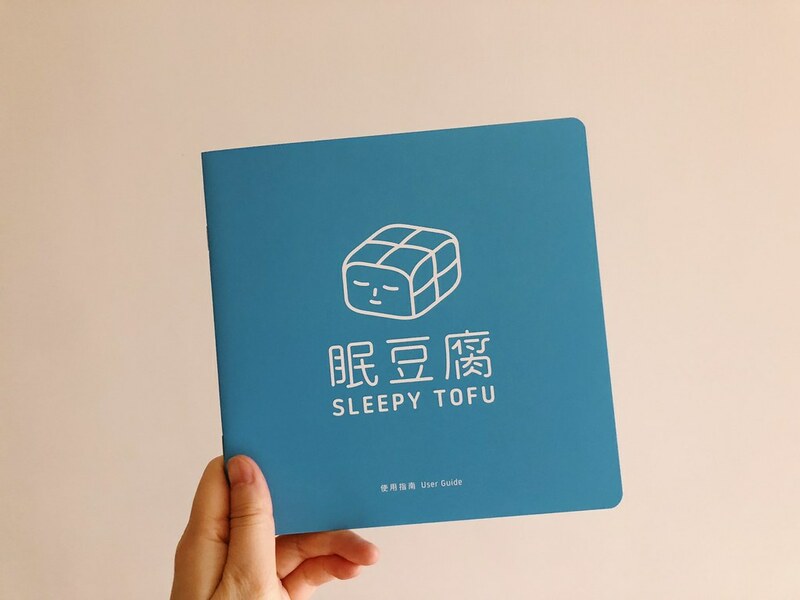 Ten days ago, a Sleepy Tofu [眠豆腐] ad popped up in my Instagram feed. Ten days later, I have a new mattress and I’m now the type of person who writes about their wonderful new bed. Who knew? 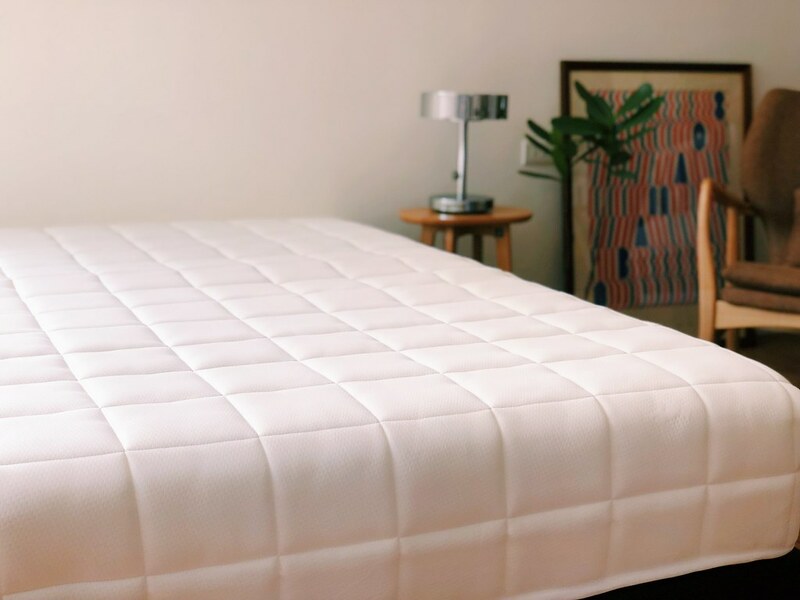 Sleepy Tofu proudly makes its mattresses at a third-generation mattress factory in Taoyuan. 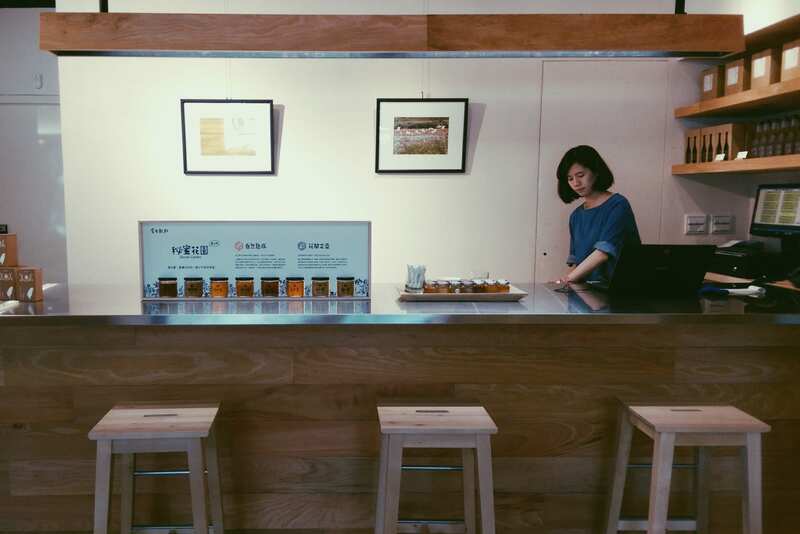 The entire product line was designed from scratch specifically for the Taiwanese consumer and climate. It took two years from the initial idea to testing of the first sample beds. 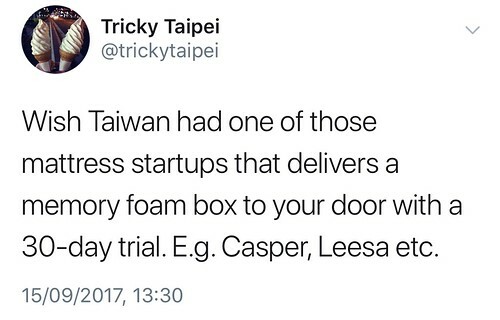 Yes, the business model is similar to all those mattress startups you’ve seen in the US. They’re online-only and direct-to-consumer. You can’t test the bed before you buy, so they have a 100-day trial period in case you need to return it. 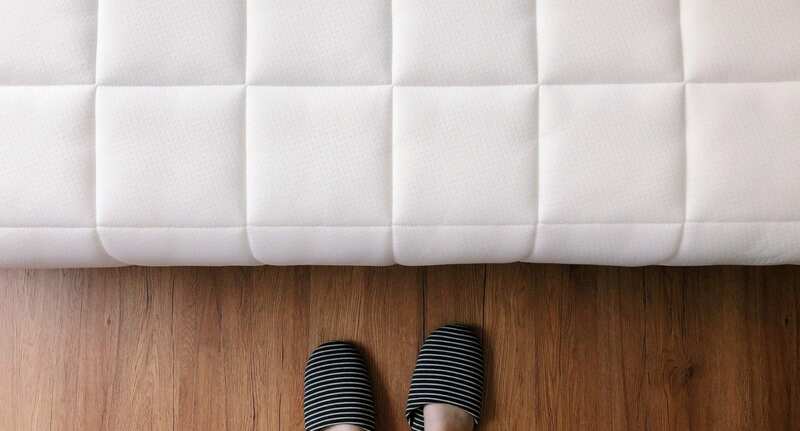 The mattresses come in five sizes that arrive vacuum-packed in a sturdy cardboard box. We purchased the standard double size — their equivalent of queen. Price: 17,990NT. Since we have a baby, we let it relax and air out for a day before bringing it into the bedroom. Buying a mattress is such a personal choice, but I have to say I really like our Sleepy Tofu. Here it is, all fresh and tofu-looking! Note: our bedroom doesn’t actually look like this. I tidied up and staged this shot to spare you the reality of what a bedroom looks like when you live with an infant. And here’s another shot so I can show off the only two pieces of furniture we have that aren’t from IKEA. This chair and side table are both from the Taiwanese furniture brand, UWood. Since I took the time to take glamour photos of our new mattress, I figured I would email the owner of the company in case there was a cute story behind the brand. Turns out there is! The logo and word mark were both created by a young Taipei designer named Yu-Hao Chang. In an adorably narcissistic coincidence, the owner found the designer while he was Googling his own name one day. 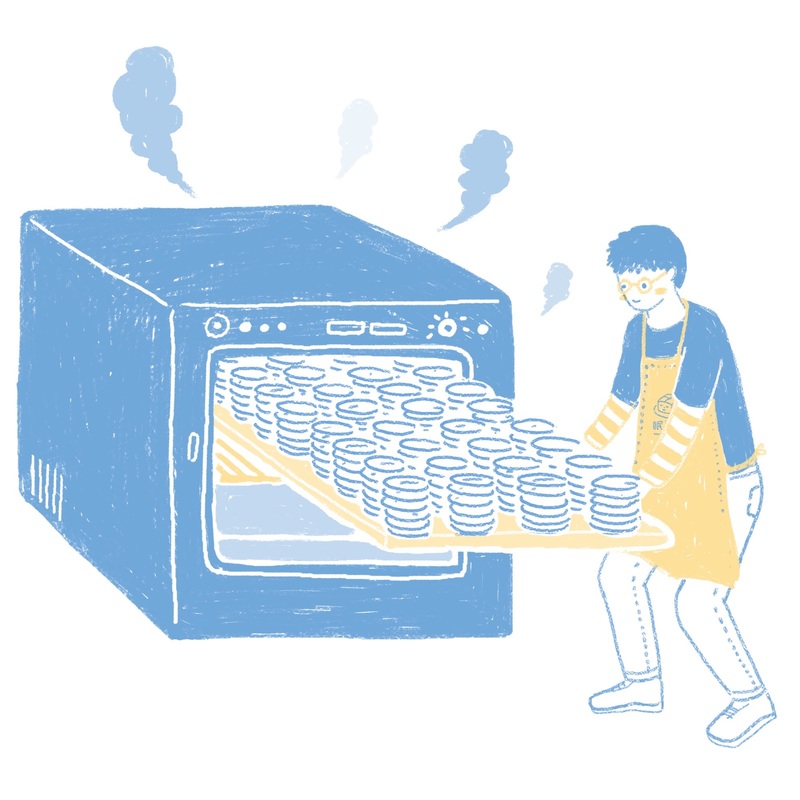 The illustrations on the website and in the user guide are all super cute and clever. They were created by an artist named Wanyun Chen. So what about the name Sleepy Tofu? Well, it turns out they had another name all along but it was too abstract. It didn’t make people think of beds. I’m so glad the founder took the time to understand the local market, had the tenacity to create a quality product, and then invested energy into the marketing and brand. Let’s hope more entrepreneurs start applying this winning formula. since it’s been a fair few weeks, how is the mattress? Loving it. 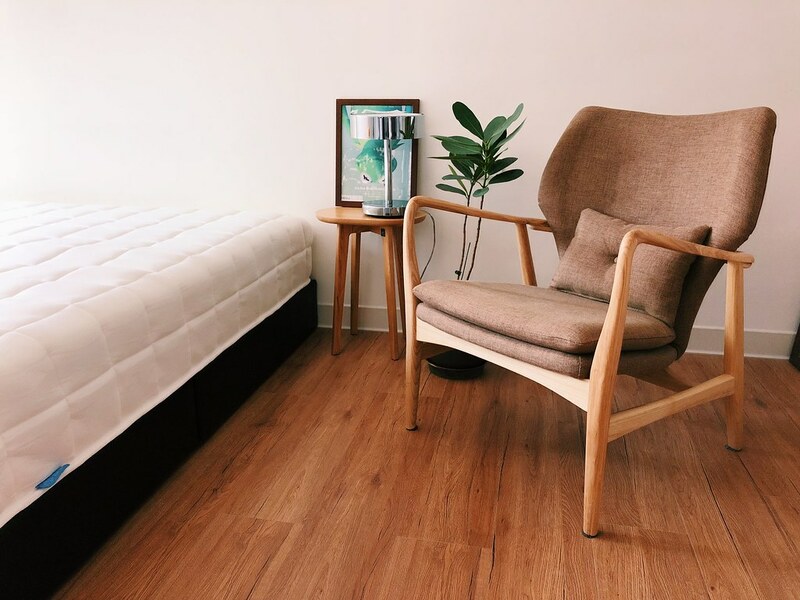 We purchased a new mattress about two months back from a traditional Taiwanese brand. Ordered it off Momo. Too firm for me. That one is now in the second room. 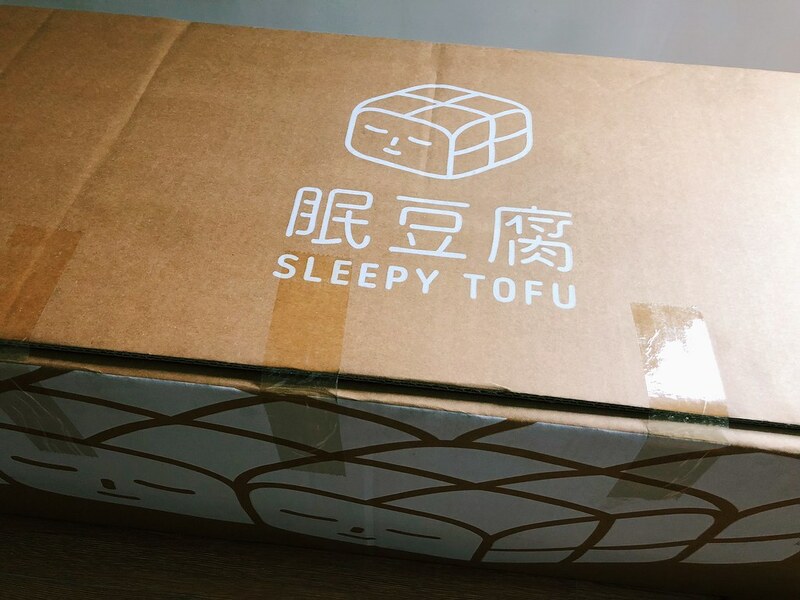 The Sleepy Tofu has padding on top, but has spring structure underneath. Nice. I’ve been seeing a lot of their adverts on facebook lately and a few friends have also brought them up. They don’t seem to have an English setup (yet?) but I muddled my way through it and everything said sold out? Maybe I did it wrong. Anyway, I’m definitely interested, I’ll keep checking on it. They’re running a Zeczec crowdfunding campaign at the moment, so doesn’t look like they’re taking orders on their website. We purchased before the Zeczec campaign launched.